What next for India's four million 'stateless'? Questions of identity and citizenship have long vexed a vast number of people living in Assam, one of India's most multi-ethnic states. Among the residents are Bengali- and Assamese-speaking Hindus, and a medley of tribes people. A third of its 32 million residents are Muslims, the second-highest number after Indian-administered Kashmir. Many of them are descendants of immigrants who settled under British rule. But illegal migration from neighbouring Bangladesh has been a concern for decades now. A six-year indigenous protest - during which hundreds of people were murdered - led to a 1985 pact between the federal government and protesters. It was agreed that anyone who entered Assam without proper documentation after 24 March 1971 would be declared a foreigner. 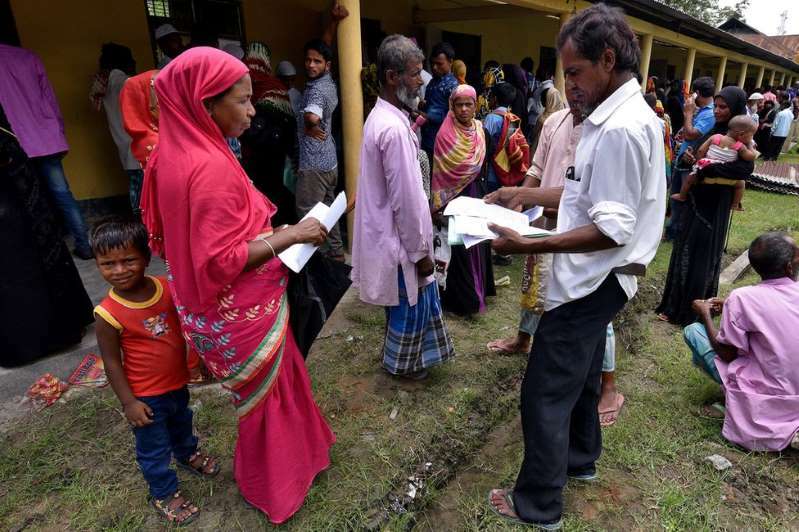 [post_ads]Now, the publication of the controversial National Register of Citizens (NRC) reveals that some four million of Assam's residents are illegal foreigners. Separate specially-formed courts had already declared as foreigners some 1,000 residents - mostly Bengali-speaking Muslims - and interned them in half-a-dozen detention camps. In an echo of US President Donald Trump's policy to separate undocumented parents and children, families have been similarly broken up in Assam. Prime Minister Narendra Modi's Hindu nationalist Bharatiya Janata Party (BJP), which rules the state, has insisted in the past that illegal Muslim immigrants will be deported. 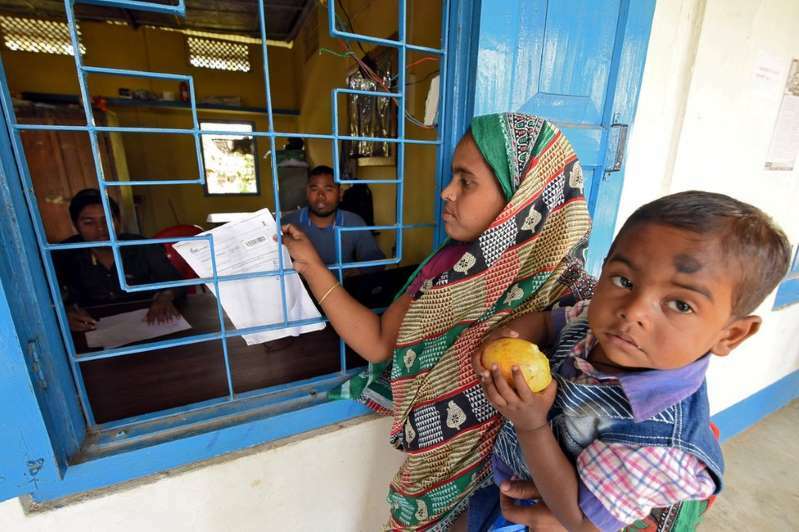 Stripped of their Indian citizenship, the affected people in Assam, many of whom have lived there for decades, will be suddenly unable to vote, access welfare or own property. Those who already own property could easily become targets of envious neighbours. At a time when the UN refugee agency is vowing to end statelessness - there are some 10 million stateless people in the world - this will be a major embarrassment for India. Mr Modi's government has already shown nervousness. A senior minister said people not listed on the NRC would not be kept in detention camps and would be given a last chance to prove their citizenship by the end of the year. At the same time, there are plans to build a vast, new detention camp for people who are unable to prove their citizenship. Also, according to lawyers, people whose names are not on the list can appeal to the special courts. It could take years, if not decades, to decide on the fate of tens of thousands of people. "In short, this is a complete mess of affairs," says Subir Bhaumik, author of Troubled Periphery, a study of India's troubled north-east. "The potential for chaos is huge. There will be panic among the minorities. Bangladesh will fear an influx of new refugees. Detention camps packed with stateless people will invite international attention, and bleed the exchequer." There's little doubt that illegal migration is a serious issue for Assam. Its population has grown at a much higher rate than in the rest of India, raising suspicions of substantial informal migration across the porous borders it shares with Bangladesh. Thousands fled to Assam during the 1971 war with Pakistan. This has hurt the state in more ways than one: land ownership has declined, plot sizes have shrunk and landlessness has risen. Estimates of illegal foreigners range from four million to 10 million. Most of them are engaged in farm work. According to one estimate, they have a sizeable presence in 15 of Assam's 33 districts. Some 100 special courts have already declared more than 85,000 people foreigners since 1985. But many argue that Mr Modi's BJP has whipped up religious tension over the crisis for electoral gain - the party says illegal Muslims should be deported while illegal Hindus can remain. "Rightly or wrongly the citizenship issue has become a crucial talking point and an issue in Assam politics. Unless it is settled, you cannot go forward," says Hiren Gohain, a leading Assamese author and social scientist. "Who are the genuine citizens in the state and who are the aliens needs to be ascertained." A hastily executed citizenship test which has cost India $180m (£137m) so far and has ended up fanning xenophobia and distrust surely cannot be the answer. World - U.S. Daily News: What next for India's four million 'stateless'?